Apple has described Thunderbolt as below. Thunderbolt is a revolutionary I/O technology that supports high-resolution displays and high-performance data devices through a single, compact port. It sets new standards for speed, flexibility, and simplicity. Thunderbolt is the product came out of the technical collaboration between Intel and Apple. Apple claims that Thunderbolt is more than 12 times faster than FireWire and 20 times faster than USB 2.0. Thunderbolt provides two bi-directional channels with data transfer speeds up to 10 Gbps. Thunderbolt also offers native support for Mini DisplayPort and support by way of adapters for DisplayPort, DVI, HDMI, and VGA displays. Thunderbolt is also compatible with FireWire and USB devices. Intel has described Thunderbolt as below. Watch the below video of Intel's demo for Thunderbolt (Light peak). 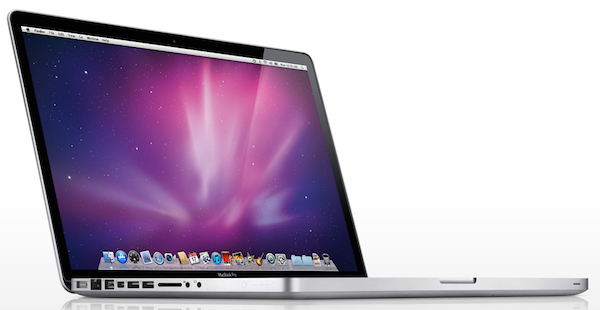 The new FaceTime HD camera triples the resolution of the previous MacBook Pro cameras, enabling 720p video chats. The new line of MacBook Pros will be available in three sizes: 13-inch ($1,199 and up), 15-inch model ($1,799 and up), and 17-inch ($2,499). The 13-inch MacBook Pro is available in two configurations: one with a 2.3 GHz Dual-Core Intel Core i5 and 320GB hard drive starting at $1,199; and one with a 2.7 GHz Dual-Core Intel Core i5 and 500GB hard drive starting at $1,499. The new 15-inch MacBook Pro is available in two models: one with a 2.0 GHz Quad-Core Intel Core i7, AMD Radeon HD 6490M and 500GB hard drive starting at $1,799 and one with a 2.2 GHz Quad-Core Intel Core i7, AMD Radeon HD 6750M and 750GB hard drive starting at $2,199. The new 17-inch MacBook Pro features a 2.2 GHz Quad-Core Intel Core i7, AMD Radeon HD 6750M and 750GB hard drive and is priced at $2,499. The new MacBook Pros are currently available for purchase on Apple.com, as well as in stores.